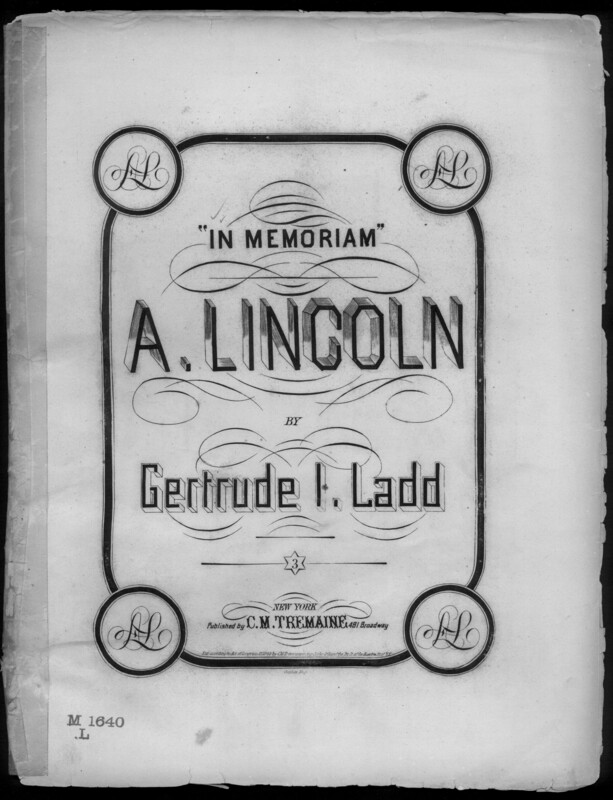 "In memoriam, A Lincoln" was composed by Gertrude I. Ladd. The ballad is set for voice and piano in English. It contains two verses of lyrics that discuss President Lincoln's assassination as a sacrifice for freedom in the United States. Part of the Library of Congress Civil War Sheet Music Collection. Public Domain. Suggested credit line: Civil War Sheet Music Collection, Library of Congress, Music Division.